Red Heart Tattoo by Lurlene McDaniel. Audience/Genre : Young Adult/Realistic Fiction, Drama. Publication : July 24th 2012 by Random House Children's Books. 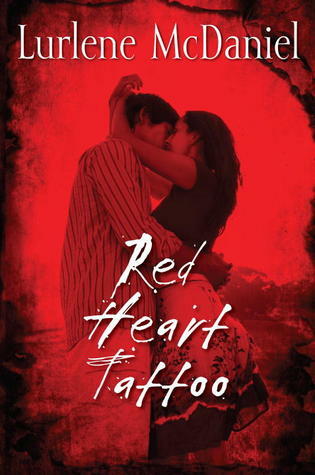 Red Heart Tattoo is told from the perspective of different characters, each teenager belonging to their own cliques - the popular girls, the jock, the loner - unfortunately, just as it is in reality. As mentioned in the synopsis, the novel begins with a tragedy - there is a bomb blast at Edison High, , planned and executed by two kids calling themselves Apocalypse and Executioner, and we see the consequences of that day faced by five students, each of them dealing with the grief. Red Heart Tattoo, for the most part, was everything I expected it to be - powerful and emotional. The plot on its own was enough to capture my attention, but the author began the story in such a way that had me completely hooked. It was interesting and at times, an emotional overload to read the aftermath from the different perspectives. I noticed that the author explored the story from characters that mostly have nothing in common and it was interesting to see the story play out for each one of them. That being said, you know how with some characters, you feel like it's you who's experiencing what's going on in the book and with others, you feel more like an observer? Well, with this book, like I said, the overall plot affected me but I felt like the observer and to me, that's not a great thing. I'm not sure where the author lost me but while I was interested in the story, I didn't really connect with any of the characters. Like I said, I was gripped at the beginning but the feeling didn't last throughout the novel. I'm an obvious, happy ending kind of girl. I can handle twists as long as it's not the end but with Red Heart Tattoo, I didn't get the closure I needed. However, this is the first book of this kind that I've read and Lurlene McDaniel's writing is really captivating. I would definitely recommend this book to any young adult reader with an eclectic taste. Thank you for the Awesome review!! Never heard of this book, but now it's going on my TBR list. You hit on great points that drew me in and most notably your mention of how good the Author's writing style is. Always good to know and sounds like a good read. Anxious to see the ending to see if we're on the same page/mindset with that.